If your bounce rate is too high, you are losing visitors and a chance to convert them into customers. In this guide, you’ll learn exactly how to lower your bounce rate and increase user’s time spent. 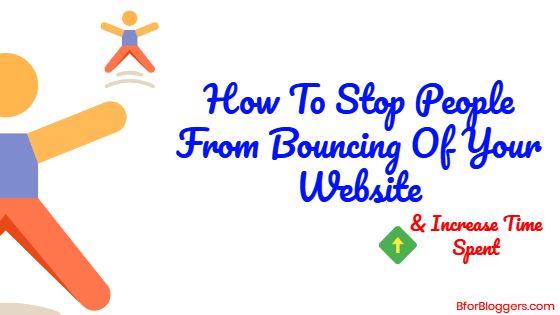 When someone visits a single page of your blog or website and closes it, then that is called a bounce and the percentage of people producing a bounce is called the bounce rate. 6. Manage Internal Linking And Optimize Outbound links. This is calculated by Dividing the total number of visits viewing the single page by the total number of views the page got. Tv – Total page views. Google Analytics makes it easier to find and keep an eye on your bounce rate. I prefer to use that rather than using jetpack stats. Read why. Ideal bounce rate – For SEO your bounce rate should be lower than 80%. This shows that your content is helpful and should be considered as a helpful article that can be ranked higher. In this post, we will try to decrease the rate as much as we can. This is the actual time people spend right after they landed on your blog to the time they leave it. This is also known as session durations. However, when a bounce is made on a page, the time spent is not taken in account by google analytics. The user would have still spent a minute before closing the page but that didn’t make a “hit” Google looks. The more the people spend their time on your blog the more they will be engaged and hence the bounce rate will reduce resulting in better conversions and leads. 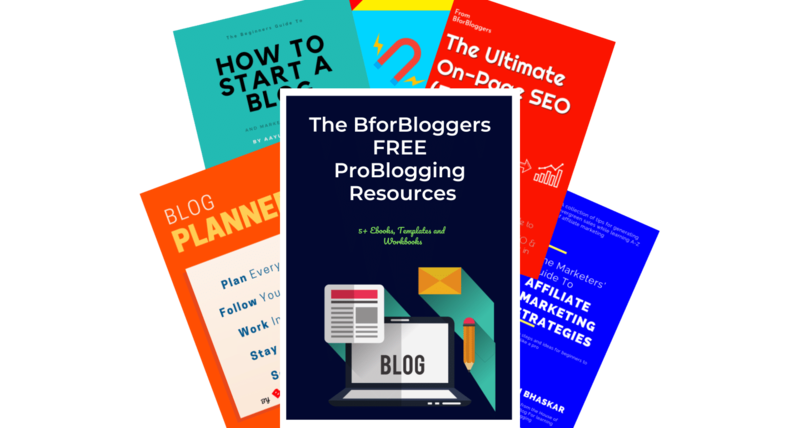 If the bounce rate of your blog is increasing, that means the search engines will find your content not useful enough to the audience they sent. This will result in low rankings of your posts in SERPs and eventually lesser conversions. Just like that, when the time spent on your blog increases, the bounce rate will automatically decrease and hence your rankings will get better as well as the conversions. Overall, you should be concerned about your bounce rate and fortunately, I have found some actionable ways you can put to work right away. Before you place a lead capture form with an ethical bribe above your content, make sure it didn’t get merged into the background and other elements. Lead forms are meant to be attractive and hence make them more attractive so that once a visitor’s lands and see it, he/she should take time to discover what you have to offer and what do you want in return. Same criteria apply to the other elements such as widgets. Make use of the colours and borders to separate the widgets from your other elements and contents. Widgets should be shown respect to the environment. For example, I make sure you see a SEMrush banner when I publish a post in SEO category. The Taxonomy level targeting is a must. Similarly, show relevant banners and ads or else your visitors will slip through your site faster. Use a plugin called widget options to handle widgets easily. For managing ads, always use a dedicated plugin like WP Advanced Ads which allows you to target country level visitors along with many other add-ons. Disable the popup that is displayed with the effect of immediate landing. Set the popup to trigger when the user has scrolled down the page at least 50%. I possible, use slideins and floating bars. Use more readable fonts such as Raleway and Sans. If you are obsessed with Georgia then make sure you set the font size to 16-18 px and no lesser than that. Using this method, I got an extra 7% decrease in my bounce rate in less than 4 days so I am pretty sure these strategies work great. You should add an easy to navigate button on your header. If you have a custom header which supports images and widgets, just like i do, add a nice slider over there. A slider should belong to a particular category so that when a visitor lands on your page, the slider attracts them with random posts that are animated and catchy. Since the visitor is likely to click ( in most cases) you are going to get a session hence no bounce rate increment. The before the content area is respective to the availability since it differs from theme to theme. 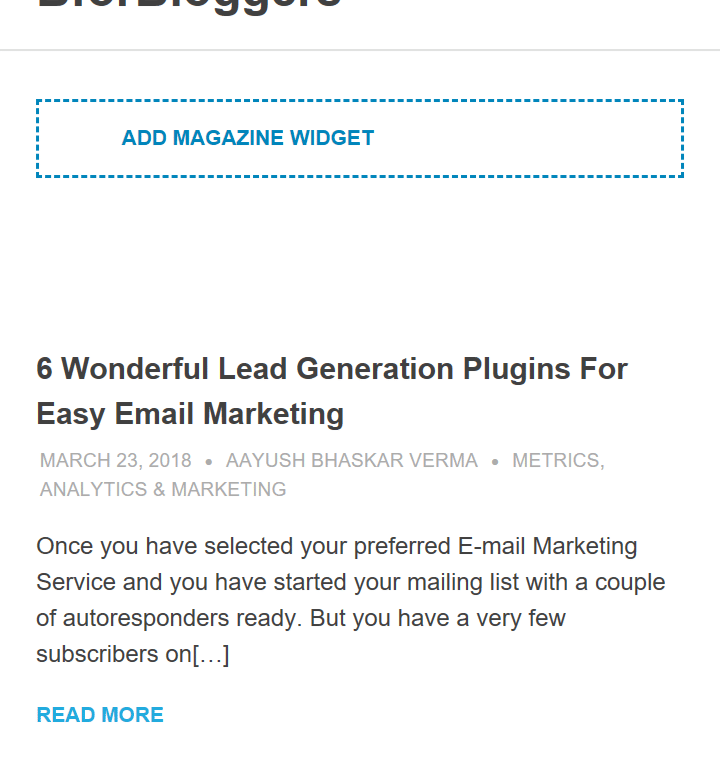 If you are using a theme like genesis or any custom theme that supports feature box or magazine widgets area you are likely to have an above content widget section. In this section, you should place a featured box where you will place some of your best categories and highlighted skyscraper articles that are the most engaging ones. Tell your new visitors to visit this page by showing them the comments count and include a compelling call to action button. Show them why you are an amazing guy to read about. A better call to action button is painted in red, pink and orange colour. These colours are highly effective and are proven to increase CTR. Place an appealing content like deals, discounts, strategies and interviews which are highly interactive and engaging. All we want to do is to make sure our visitors get engaged with our content. Give them something worth their valuable time. That’s the main gate to increase time spent on page. People who have visited your blog by looking to an article on a search engine are likely to land on to your homepage as well. It’s natural, people like to explore. But if you are showing them the same articles without any extra widgets or any engaging columns and featured slots, they will get bored. However, if you are a blogger whose primary focus is the content, it is acceptable. Websites which are the part of any brand to business related or any start-up should not rely on the WordPress blog page. This goes to the software launchers as well. Designing a custom landing page isn’t that difficult nowadays, you can use any given page builder or frameworks. Q. What should you include on your landing page that helps reduce bounce rate? The first thing people notice is the below header area i.e. Above content area. 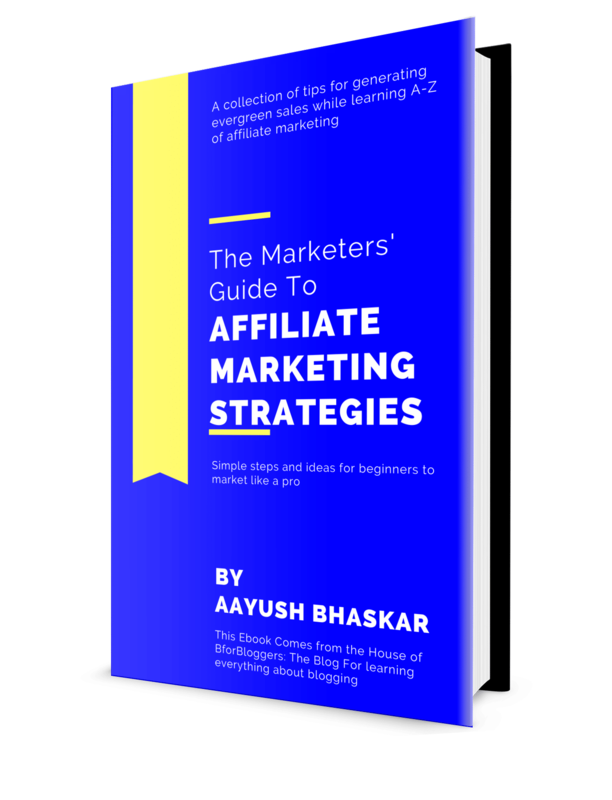 This area should either include a powerful introduction, your most valuable and successful product or your credibility such as where have you been featured in, or why you are the best in the business. You can also feature the number of followers you have and some testimonials in this area or your own picture with a couple of quotes that you think your visitors would relate to. Many of the bloggers put their email optins at the top which is quite an old school now. That may work for some but from business standard and marketing thought, this should not be done. Help user find what they are looking for by placing suggestions based on hierarchy in taxonomy. A category and archive section is a must to add block. This particular technique is my favourite. You may have seen people who get thousands of comments and shares on their posts but how do they get it? You see, the first thing people see on your content, of course after your headlines, is how your literature is. The way you write and the way you execute your knowledge is the prime key to drive more visitors and engagement. Try to understand the problems that your readers are facing. Become their mentor but at the same time be honest. Don’t try to be an expert on things you don’t know about. The engagement is the key factor of bounce rate reduction and time spend increment. Story:- Stories are natural connectors. People are immediately attached once they start reading a story. You can share stories from your experience or, you can come up with a fantasy. This also includes a story of other people and influencer but make sure you give acknowledgement and do not alter any of its parts in any way. Proven Strategies:- Proven strategies are generally those ways you find out while solving a problem. These correlate with many people because you are not alone. When you give people what they have been looking for but couldn’t find, they are going to reward you with conversions and their precious time. In-depth Tutorials:- Tutorials are the best way to drive traffic and if you can create tutorials that are in depth and to the point, you are going to reduce the bounce rate very quickly. Include pictures as much as you can but make sure you use them lesser than the text. Try to turn the important points into bold characters to drive maximum attention. Making your website faster has a number of benefits to give. Not only it helps you to reduce the bounce rate but also helps you to do better SEO job. We know that if a person clicks on your link and it takes more than 3 seconds to load, it is going to abandon the site and this might be forever. People want to extract information as fast as possible and it’s your prime duty to make it happen. Read this guide to boost up your WordPress site. Leveraging the speed of your site will help you to convert more visitors and capture more leads along with great user experience and interaction. Use a cache plugin if you are on a shared server and try to add a CDN for an enhanced blasting speed boost. Add a lazy load plugin. you can also use the new feature in the latest jetpack plugin which already supports the lazy load for images. Try to change your theme if you are not getting proper results such as lesser shares or fee comments. Make it easier to navigate through your blog. Place a search bar in the header or in the sidebar above the other widgets. Also, help your users with continuous feeding of content. Place a related post below the content and fresh post widget in the sidebar. Make your blog or website mobile optimized and also make sure it doesn’t need to be scrolled horizontally to view any of the elements on the page. Make sure you don’t mess up with changing too many themes. This will ruin the readership of your site as the readers will feel you are not sustainable and under development. 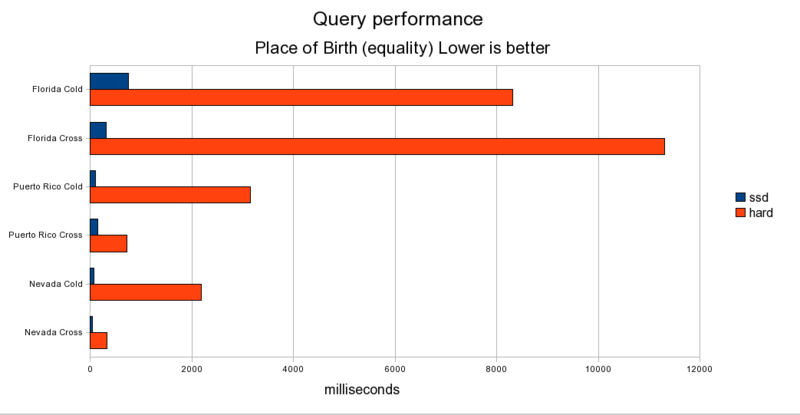 Analyse your blog or websites’ speed at Pingdom. Internal linking should be practised to keep your users engaged. This helps your readers to find better content faster. This also makes it easier to move along your most popular articles. Internal links are an important factor in SEO and display your hard work and range. By showing people the number of articles you have and that too in different categories, you are proving your self an established marketer. People will spend more time exploring your articles if you’re interlinking correctly. Always use a keyword as your anchor text while linking to your own posts and ditch the “read this” and “more” texts. Outbound links should contain a rel=noopener tag so that they open in a new tab. When someone clicks on an outbound link immediately after he/she lands on your website, then that is counted as a bounce. However, when the same link is opened in a new tab, while your page is still open in another one, you are safe and the time is being spent on your site. In WordPress and other CMS, you can easily do this with 1 click action menu shown when you link to an external link. If you are using a link cloaking tool to cloak your links, make sure you change the global settings to open in a new tab. You can also use an automated linking plugin like Auto Seo links to automatically link your articles with anchored keywords every time you publish a post. You can also automate the external linking and the best part is the outbound links open in a new tab automatically with this plugin. Make sure you don’t have any broken links in your posts, neither internal nor external. Always attach relevant images to your blog. Make sure they are original and visually striking. Using relevant and interactive images will help the user to better understand your content eventually reducing the bounce rate. The reader will also spend more of the time going deeper into your posts if you are using infographics and informative images as well. Place images after every 5-7 paragraphs to help a visitor or the readers to give a break to their eyes helping them not to strain. This is highly recommended when you are writing long-form contents. Use an automated watermark plugin to make sure your images are not used anywhere else without your permission and credit. You should make a custom image for every blog post with the help of tools like stencil and snappa. These online tools make it super easy to create blog pictures and infographics. Also, make sure you don’t go on adding useless images in every post you make. Keep a ratio of 1:10 that is one image in every 10 paragraph. That works the best. While doing so make sure your paragraphs do not contain more than 3-4 sentences. Keep it short and to the point. Use striking colors like orange, red, yellow and light blue (cyan) with white text. These colors have a very high CTR rate. This will make sure you get more clicks on social media sites whenever your posts are shared. I call the first 3 paragraphs of any article the accent paragraph. Just like we first look at the accent wall of a room and justify, similarly we do with articles. After reading the first few links, we decided if we want to continue or not. Whether the writer is skilled or a mere amateur, or do the author knows about the topic or not, everything this dependent on the accent paragraphs or the first few paragraphs. But before heading towards an article, probably the first and only thing we see is the headline. A headline defines the content better than anything else. We look at the headline and if it is properly curated, in a moment of a second, we make our mind. Good Headlines are not the one which is filled with keywords and LSI keywords, the headlines are a mirror of your content. How many times did you read a description of a result that appeared on Google before the headline? Never. A good headline is properly curated with high CTR contextual words that are appealing and effective enough to hit the readers brain. Use powerful words such as increase, boost etc. Some words like amazing, facts, wonderful, etc are more appealing and tend to attract more visitors. Improve your writing skills and take the help of online tools like Grammarly & ProwiritngAid If you are concerned about your spellings, which will highlight all your spelling errors in the WordPress editor. People online don’t expect to read an error-free article anywhere. It’s your duty to give the best you can hence impressing the people to spend more time on your content and blog. Use the headline analyzer form Coschedule to check out how your headlines are going to perform. This will help you to write better headlines. Make reading your content an incredibly easy task. Help your users to easily go through your content by changing the content font into easily readable and soothing one like Raleway or Open Sans. Your blog is all about delivering quality content and if your readers are finding your articles hard to read then there’s no way out. Make sure you are not using any exit-intent popups and if you are, do yourself a favour and leverage the cookie to at least a week. If you are using Adsense and it’s the latest feature ” the auto ads placement” then you should run a survey on your website or blog. Ask your users if they are feeling comfortable or not. Also, analyze If the ads are covering the major part of the user’s device. If this is happening then you should look into the problem. If you are using the AMP plugin to make your posts and pages AMP supportive, then this is the biggest reason for you to have a hike in bounce are and decrease in time spent. AMP pages are served in an iFrame which is not so good for your visitors as it has a floating button appearing on the screen as well as the above bar makes the content area smaller. Many plugins conflict with the AMP plugin and you can expect a gradual decrease in the Leads too. Here is a guide to disable AMP without affecting the SEO. Always try to answer the comments you get on your posts. All of them. This will help you to create a strong community base as well as more people will try to get into the conversations which are very good for your SEO. Comments do affect your overall rankings as more comments are the sign of informative content. Also, add a subscribe to the comments checkbox so that people can join in your conversations and they receive the updates of replies via email. In case you are unfamiliar with push notifications, read this. Push notifications are a great way of gaining subscribers that are not willing to give their emails. However, if you are using push notifications services like onesignal and Pushengage, make sure your users see prompt after a while. Avoid showing flash and interstitial overlay ads at all cost. They both are highly annoying and proven to give the highest number of bounces. There’s no need to display flash ads even if they pay sky high. User experience is the priority. Pop-ups as long as well structured, personalized and triggered to show at an effective point are good for lead generation. But make sure once the visited closes the popup, it never shows again at least for a week. Overall the bounce rate reduction process isn’t a hard Job and I try to simplify the process as much as possible for you. This is one of those things which takes time before showing you any effective result. After applying all or some of these strategies, you would have to wait at least a week before any judgment. I hope this guide has helped you. I also know that there are many other ways you reduce bounce rates effectively and if you happen you know any other interesting ways and strategies, do share with us in the comments section below. Share this post on your favourite social media sites and let me know how my article helped you achieve success in reducing your website bounce rate by leaving a comment below.